This coming Sunday (16/13/14) an estimated 100,000 people will descend into London City Centre to celebrate in the name of the patron saint of Ireland – Saint Patrick in what is commonly known as St. Patrick’s Day. St. Patrick’s Day is celebrated on the 17th of March every year, the date is to remember the day that one of the most commonly recognised patron saints around the world. 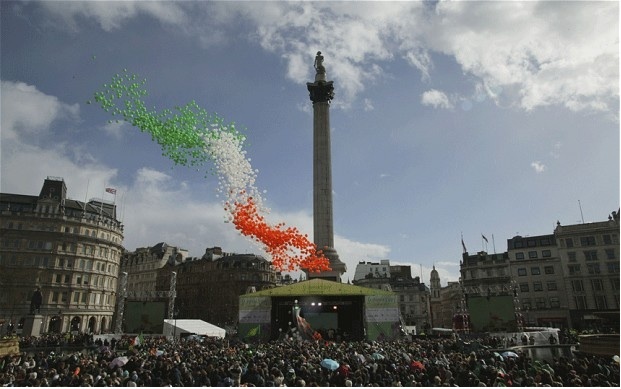 Although the day is celebrated on the 17th of March, which will fall on Monday this year, London will be hosting over 100,000 people dressed in green in the famous and iconic Trafalgar Square on Sunday the 16th. 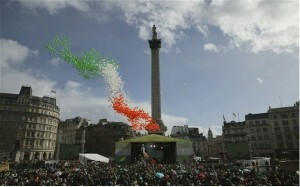 People from all over the country will travel to Londons Trafalgar Square to be part of this enormous Irish celebration. Throughout the day there will be live performances from Irish bands, a parade with marching bands and sports clubs from all over the country, food markets dancing and much more. I am sure there will also be the opportunity to sample some of Irelands most famous drink, Guinness in some of the surrounding bars in the area. 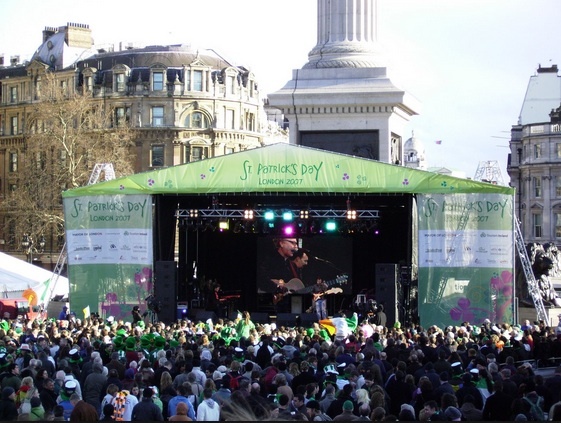 Thanks to the MyLiveStreams St. Patrick’s Day Webcam Section, you can now watch all of the amazing 2014 St. Patrick’s Day parade and celebrations LIVE on cam thanks to the St. Patrick’s Day London Streaming Webcam. Check out all of the amazing live views overlooking the famous Trafalgar Square and enjoy watching people partying hard live on webcam. Find friends and family who are in Trafalgar Square during the St. Patrick’s Day celebrations this Sunday thanks to the amazing Live Streaming St. Patrick’s Day London Webcam. Check out all of the live views this Sunday thanks to the MyLiveStreams St. Patrick’s Day London Parade Cam.